Creation of securities in the DIFC is governed by the Law of Security - DIFC LAW No. 8 of 2005 (“Security Law”) & DIFC Security Regulations (“Security Regulations”), which also govern the registration and enforcement of securities in the DIFC. Creation of securities in the DIFC is governed by the Law of Security – DIFC LAW No. 8 of 2005 (“Security Law”) & DIFC Security Regulations (“Security Regulations”), which also govern the registration and enforcement of securities in the DIFC. There are no restrictions as to who can hold or obtain the benefit of a security in the DIFC, or who can grant a security interest governed by the Law and Regulations. The application of the Law and Regulations to a security interest does not depend on the law that governs the secured obligation. Accordingly, parties to a security agreement may opt to have the Law and Regulations as the governing law while the financing agreement is governed by another law. 3. a security agreement that binds the debtor and specifies the details of the collateral is in place. If the collateral is a negotiable document of title, a negotiable instrument, money, deposit account or financial property, the secured party must also have control over the collateral. Priority of security interests is determined by the existence and timing of perfection or attachment of the security interests. The manner in which collaterals are perfected differ depending on the types and nature of the collaterals. Security interests in the form of assignment of receivables, sale of a receivable or promissory note are perfected when they attach, namely when they are enforceable against the debtor or third party. 2. in the case of deposit account, the account should be held by the secured party or by a bank (“account bank”), who will act on the secured party’s instructions without further consent by the debtor. The latter arrangement has to be agreed to by all parties namely the secured party, the bank and the debtor. Control is also assumed when the secured party becomes the account bank’s customer in respect of the account. If further security interests or other interests are granted in respect of the collateral, the secured party will continue to retain control, so long as the debtor does not have possession or control of the said collaterals. b. certificated security (ie security interest captured by a physical certficate) or negotiable instruments, for the purposes of ultimate sale, exchange or presentation, collections, enforcement, renewal or registration of transfer. Upon the expirty of the twenty day period, the security interest must be perfected in accordance with the Security Law. In addition, if the security interest is in respect of securities listed on the Nasdaq Dubai, the securities may be pledged through submission of pledge instruction to the central securities depository of the Nasdaq Dubai (“CSD”) in favour of the pledgee. The securities will be designated as “pledged securities” held in favour of and controlled by the pledgee. 5. rights to take possession of the collateral and to sell, lease, license or dispose of the collaterals on the terms which are commercially reasonable, through private or public proceedings. There are prescribed requirements in the Law and Regulations that a secured party must comply with when enforcing its rights under the securities, which amongst others include notifying the debtor or obtaining consent of a security party who has priority over the securities. While there are no court proceedings or orders required to enforce the securities, the court may order or restrain the enforcement of the security if it is established that the secured party fails to comply with these prescribed requirements. In this respect, the debtor or the obligor may also bring an action for damages for any loss arising out of the secured party’s failure. This right to enforce securities without court order is one of the features distinguishing the Law and Regulations from that of the UAE laws. 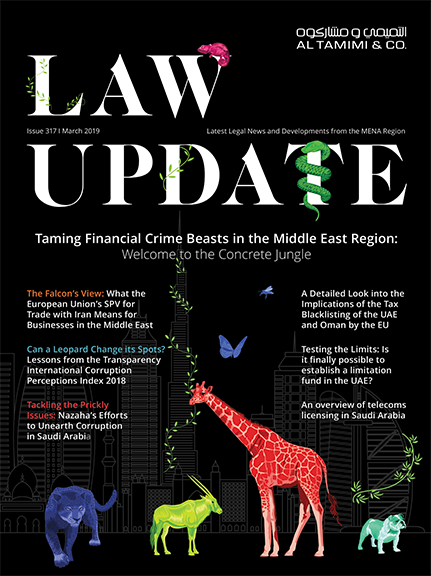 Under the UAE laws, all security interests need to be enforced through a court of law and thus a debt is required to be first proven before any securities can be enforced. Once debt is proven and a final judgment is issued, the security will executed through a court order. Under the Laws and Regulations, security interests can be created in after-acquired collateral and future advances. In other words, floating charge, pledge over or assignment of all and future assets may be created by the security agreement. This is another distinguishing feature from the legal position in the UAE whereby security over all and future assets is not possible. It is not necessary for the party taking the benefit of the security interest under the Law and Regulations to be registered, licensed or otherwise authorised in the DIFC. In the UAE however, while there can be exceptions, for instance in the case of the creation of pledge over shares listed on Dubai Financial Market and Abu Dhabi Exchange, the general position is that a secured party needs to be a financial institution that is licensed and regulated by the UAE Central Bank before it can take security over assets in the UAE. The general rule in relation to security interests is that security interest should be governed by the law of the place in which the asset is located. It is prudent therefore for a lender to obtain and perfect the security over assets located in the DIFC under the Law and Regulations. In addition, the fact that an entity providing the securities are is domiciled in the DIFC, may also be the determining factor for a lender to apply the Laws and Regulations as the governing laws and regulations for the securities.